Um novo espaço de notícias polares foi criado no site das campanhas PROPOLAR. Evitaremos assim a duplicação de informação remetendo a curiosidade e interesse do utilizador para a consulta deste espaço. A Conferência Nacional de Ciências Polares é o fórum onde são apresentados os mais recentes avanços nos projetos polares portugueses e delineadas novas estratégias de cooperação nacional e internacional. A conferência dirige-se à comunidade polar nacional, bem como a todos os investigadores e estudantes interessados nas regiões polares e na sua importância global. ​De 4 a 6 de Julho, o Centro de Congressos de Lisboa recebe o Encontro Nacional Ciência 2016, a maior reunião de cientistas e investigadores Portugueses. 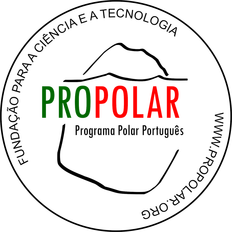 Durante o dia de 4 de Julho, o Programa Polar Português (PROPOLAR). dinamiza a sua Sessão de Demonstração de Atividades VENHA CONHECER UM CIENTISTA POLAR e a Sessão Paralela de Comunicações CIÊNCIA POLAR NAS FRONTEIRAS DA TERRA, relacionadas com a ciência portuguesa que se desenvolve nas regiões polares. Converse com investigadores polares portugueses em várias áreas científicas, saber mais sobre a ciência polar que se desenvolve em Portugal e perceber porque é importante para Portugal. Um breve panorama da Ciência Polar e sua abrangência, com as comunicações do Geógrafo Gonçalo Vieira (CEG/IGOT-ULISBOA), dos Biólogos José Xavier (MARE-UC, BAS-UK) e Anton Van de Putte (KU LEUVEN, Bélgica), do investigador em Química Ambiental João Canário (CQE/IST-ULISBOA), da Microbióloga Catarina Magalhães (CIIMAR-UPORTO), do Arquiteto Manuel Guedes (DECivil/IST-ULISBOA). GONÇALO VIEIRA, Centro de Estudos Geográficos / Instituto de Geografia e Ordenamento do Território, Universidade de Lisboa. JOSÉ XAVIER, Marine and Environmental Sciences Centre, MARE, Universidade de Coimbra & British Antarctic Survey, Reino Unido. JOÃO CANÁRIO, Centro de Química Estrutural, Instituto Superior Técnico, Universidade de Lisboa. CATARINA MAGALHÃES, Centro Interdisciplinar de Investigação Marinha e Ambiental, Universidade do Porto. MANUEL GUEDES, Departamento de Engenharia Civil e Arquitetura, Instituto Superior Técnico, Universidade de Lisboa. ANTON VAN DE PUTTE, Royal Belgian Institute of Natural Sciences, Bélgica. Dr Julian Gutt, Chief Officer of the SCAR Scientific Research Programme, Antarctic Thresholds - Ecosystem Resilience and Adaptation (AnT-ERA), has produced a report on the SCAR events at COP21, which is available on the AnT-ERA website at: http://www.scar.org/srp/ant-era#COP21. ​A side event was also held in the COP21 Nordic Pavilion in the afternoon entitled “View from Two Poles: Climate Lessons from the Arctic and Antarctica”. It was opened by Dr Valérie Masson-Delmotte, winner of the 2015 Muse Prize and Co-Chair of the IPCC’s Sixth Assessment Report (AR6) Working Group 1. ​ALTERAÇÕES NO ÁRTICO - O que significam para si? Esta Sessão Paralela da Comissão Europeia (CE), organizada pelo European Polar Board, EU-PolarNet e ICE-ARC, aborda o aumento da importância das questões ligadas ao Ártico, para a política, economia e sociedade europeias. SCAR Bulletin (number 193) is now published on the website. It contains the report of the SCAR Delegation to XXXVIII ATCM and CEP XVIII, which were held in Sofia, Bulgaria, from 1 – 10 June 2015. It is available to view and download at: http://www.scar.org/publications/bulletin. The 11th International Conference on Permafrost (ICOP 2016) will be held in Potsdam, Germany, 20-24 June 2016. The conference aims at covering all relevant aspects of permafrost research, engineering and outreach on a global and regional level. Check out the conference trailer to get a glimpse of the features awaiting you at the conference! Abstracts should be submitted online until 1 December 2015 via the external conference registration system ConfTool. This is your chance to participate in the premier permafrost event in the world, occurring every four years! Early career researchers participating in the conference can apply for travel support via the conference registration system. A two-day “Young Researchers Workshop” will also take place before ICOP, with a focus on building opportunities for young researchers to learn and build interdisciplinary knowledge. The application deadline fortravel grants as well as for workshop participation is 1 December 2015 as well. Students will also be provided with a substantially reduced registration fee upon registration (250 € for early bird registrees). See also the APECS announcement HERE. An important SCAR activity is recognition of excellence in Antarctic and Southern Ocean research and outstanding service to the international Antarctic community, both of which are critical to advancing SCAR's vision and mission. Peer recognition is a way of rewarding and highlighting those who exemplify the best of the Antarctic community and serve as models for the next generation. SCAR created the medals to provide this recognition: the Medal for Excellence in Antarctic Research and the Medal for International Coordination. To encourage nominations and ensure an open, fair and transparent selection process, recipients of the medals are selected by committee. There are no age restrictions or limits on nominees and no higher education degree requirements - everyone is eligible to be nominated. However, self-nominations are not accepted. The deadline for nominations is 31 March 2016. This conference will focus on Antarctica in the Global Earth System: From the Poles to the Tropics and how the changes that we are currently seeing in Antarctica will affect the rest of the world. It is sponsored by the Ministry of Science, Technology and Innovation, Malaysia together with the Sultan Mizan Antarctic Research Foundation and the National Antarctic Research Centre, together with SCAR. The conference programme, including sessions and descriptions, is now available on the conference website: http://scar2016.com/?page_id=3681. The submission of abstracts is open from October 15 until 14 February. We encourage those participating in Antarctic expeditions to submit abstracts early. Early bird registration ends on 5 May.